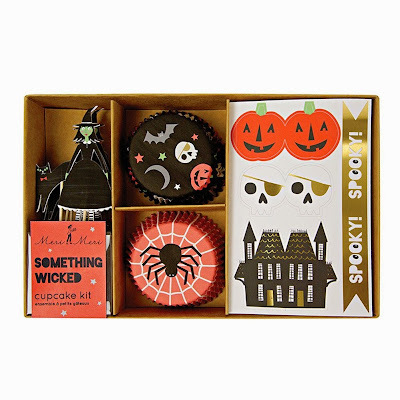 The Meri Meri Something Wicked cupcake kit includes witch and black cat paper cupcake toppers, 24 spiderweb and Halloween collage paper cupcake cups, and 32 Halloween stickers you can use with the included picks to make your own cupcake toppers. 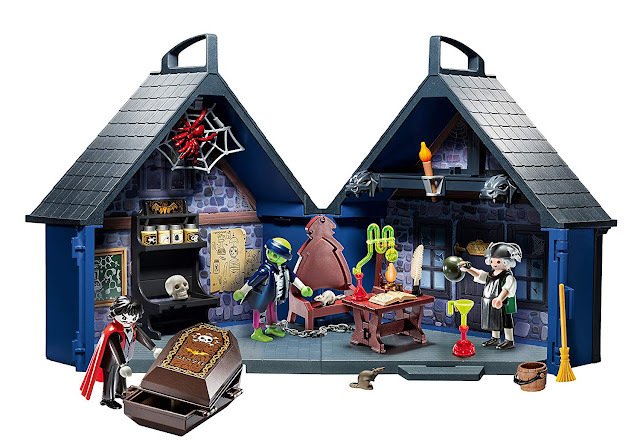 I especially love the haunted house! 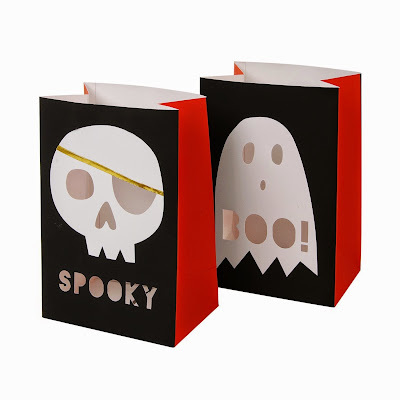 Greet guests along your driveway and walkway with paper Something Wicked luminaries from Meri Meri. Fill with sand and add a tea light or better yet, non-flammable LED tealight, to give it a warm and spooky glow. 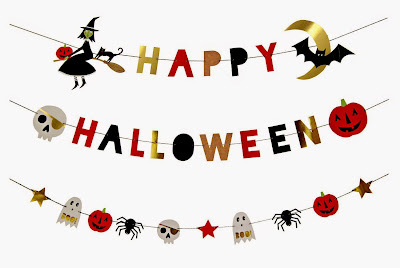 Decorate your living room, kitchen, dining room or front entryway with this paper Something Wicked garland. 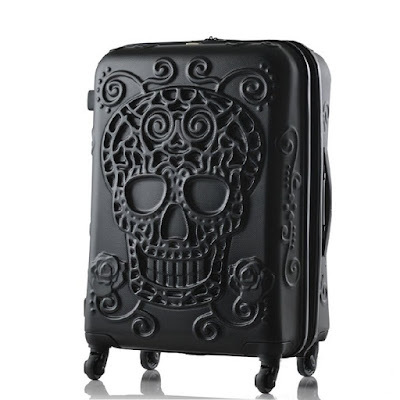 It features a witch, pumpkin, black cat, spider, skull, and ghost.